Based off the action-packed sequel to the original movie, Hiya Toys presents this 1:18 scale action figure of the City Hunter Predator! Prowling the streets of L.A., this figure captures the iconic creature's look and with a fully poseable body. Fans can recreate their favorite scene with the included accessories and detailed base! 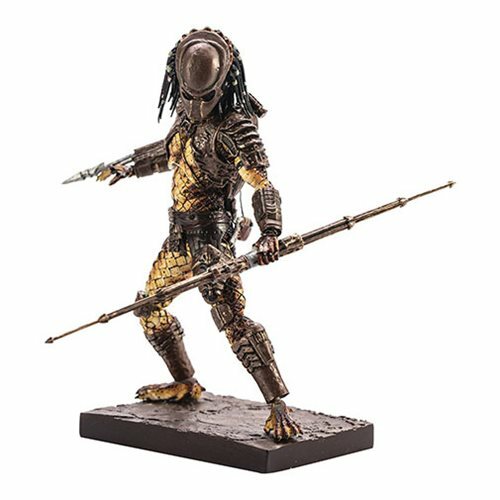 Pair this City Hunter Action Figure with the Guardian Predator for the ultimate stand off (sold separately). This Predator City Hunter 1:18 Scale Action Figure - Previews Exclusive measures about 4 1/2-inches tall.